Dr. Lee completed her undergraduate degree at Washington University in St. Louis. 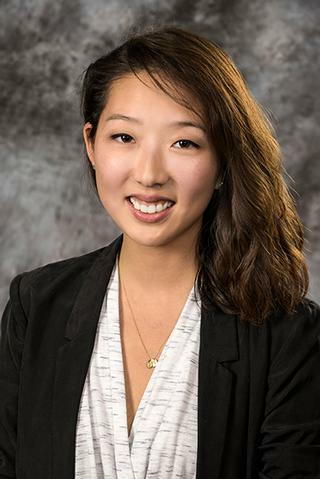 She then came to Rochester to complete medical school at the University of Rochester School of Medicine and Dentistry, where she also completed her pediatric and child neurology residency training. In her clinical practice, she sees children with a wide range of neurologic conditions. She is currently pursuing further training in neurogenetics to better understand the genetic basis of childhood neurologic disorders. She is also interested in children with neuromuscular disorders like spinal muscular atrophy (SMA) and works with the neuromuscular division to provide treatment and care for these children. Lee BH, Reijnders MRF, Abubakare O, Tuttle E, Lape B, Minks KQ, Stodgell C, Bennetto L, Kwon J, Fong CT, Gripp KW, Marsh ED, Smith WE, Huq AM, Coury SA, Tan WH, Solis O, Mehta RI, Leventer RJ, Baralle D, Hunt D, Paciorkowski AR. "Expanding the neurodevelopmental phenotype of PURA syndrome." American journal of medical genetics. Part A.. 2018 Jan 0; 176(1):56-67. Epub 2017 Nov 17. Lee BH, Smith T, Paciorkowski AR. "Autism spectrum disorder and epilepsy: Disorders with a shared biology." Epilepsy & behavior : E&B.. 2015 Jun 0; 47:191-201. Epub 2015 Apr 19.